The Cooperative Hall, Kilinochchi was the venue for a gathering of nearly 450 women, men and children from the dioceses of Jaffna, Mannar, Kandy, Badulla, Kurunegala and Anuradhapura who met together for a healing and reconciliation program held on 28th May 2013. The event which was hosted by Caritas HUDEC Vanni was aimed at bringing together people from different ethnic and religious backgrounds for a remembrance of all those who died during the nearly 30 years of ethnic conflict in Sri Lanka and to also promote healing and reconciliation among the communities. The participants of this program were selected from villages which had earlier been linked through a series of inter-diocesan exposures where residents of villages in Sinhalese areas visited their colleagues in Tamil areas, stayed in their houses and built bridges of friendship. 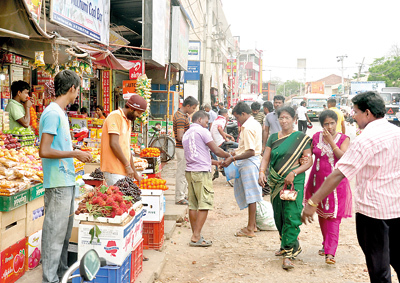 Similarly, Tamil people too had visited Sinhalese villages and helped create bonding among the two communities. Rev Fr George Sigamoney, National Director of Caritas Si Lanka SEDEC who gave a special reflection on this occasion spoke on the need for reconciliation as the way forward towards achieving true and lasting peace in Sri Lanka. Several religious dignitaries representing the Buddhist, Hindu and Muslim faiths were also present at this event along with Rev Fr A Yavis, Director of Caritas HUDEC Vanni and Rev Fr Bernard Regno, Director of Caritas HUDEC Jaffna. Lighting candles to remember the dear loved ones who had died during the 30 – year ethnic conflict, marking their names on a specially constructed symbolic monument and offering flowers in their memory were some of the highlights of the day’s proceedings.